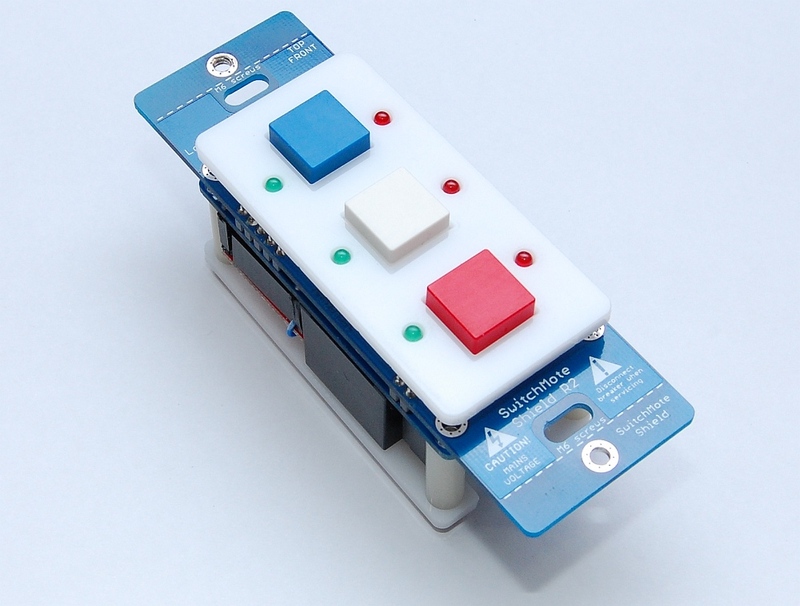 Update: The assembly and user guide for SwitchMote R2 has been drafted and is published here. 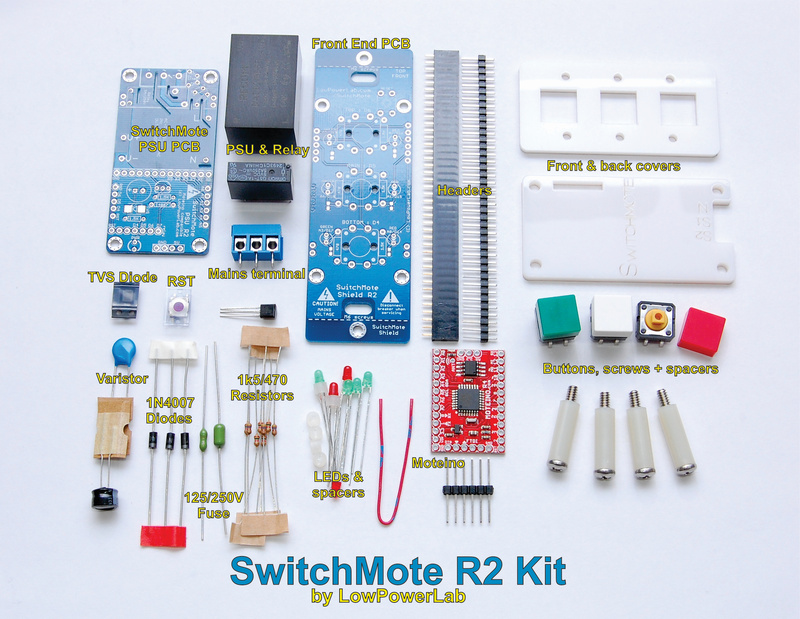 SwitchMote is now available at the LowPowerLab webshop. The guide for R1 is still available here. Pricing is overall about the same as before, unfortunately the isolated Recom PSU used in the kit is a very pricey component, but people asked for isolation and certified components, so here we are. What are the physical dimensions of assembled unit? Front cover to back cover=35mm (total thickness). Most EU countries have a very shallow standard electrical box. I guess you could make some kind of adapter ring (3D printed?) 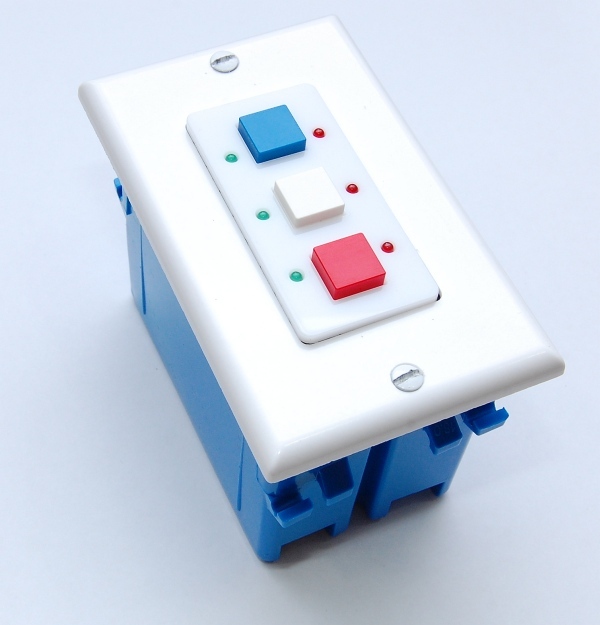 to put ontop the wall so SwitchMote could install onto that to give it room for the back side, it would make it stick out a little on the wall but it might work ok. If you had walls built from a thicker frame and drywall like in the US, you could use US sized boxes. Even if I do, the 25/35mm depth of the electric box is very shallow, that’s the bigger issue. 35mm depth may be enough if you consider that the cover adds another 5mm or so to the overall depth. Anyways, it was just a thought. Hi Felix, please forgive me in advance… perhaps a stupid question. Is the SwitchMote 2 PSU ($39.95) a subset of the SwitchMote 2 ($30.95)? You are absolutely right, it is a subset and I kinda priced it wrong. So I adjusted prices so they make more sense. Thanks for pointing this out.